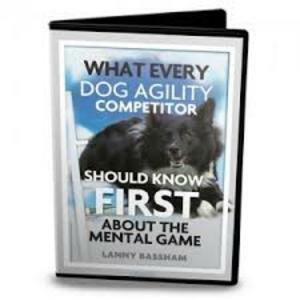 What Every Dog Agility Competitor Should Know First about the Mental Game CD Top competitors believe that controlling the mind is an important component to success. Get a jump on your competitors by starting to master the mental game early. Avoid the three most common mental errors. This CD program is designed to be the first stop on your journey to master the mental game. Whether you are a veteran that is just now getting to the mental part of the sport or a beginner this information is vital to your success.